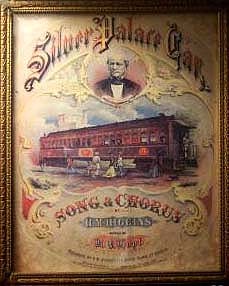 Silver Palace cars "were built by two of the three Wilmington car builders, Harlan & Hollingsworth and Jackson & Sharp." 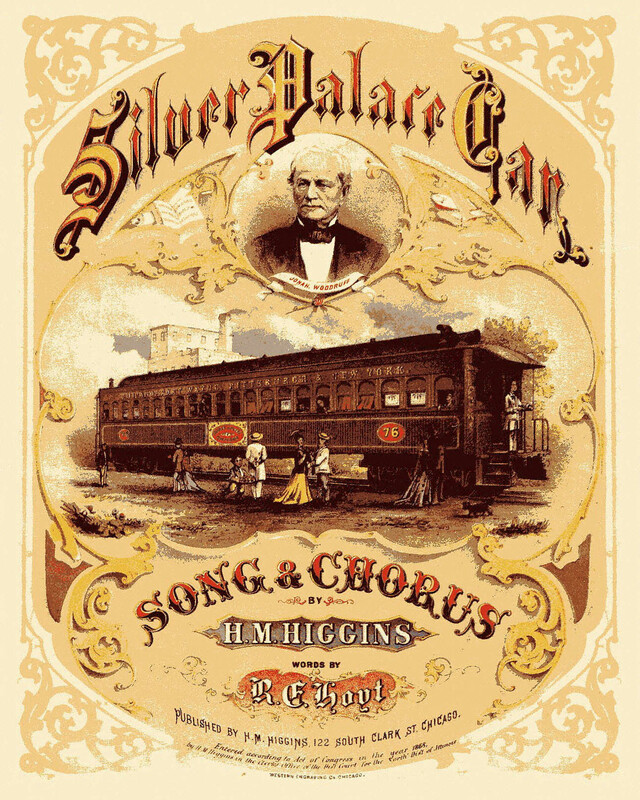 The Silver Palace Car illustrated below on the sheet music cover is from the Chicago, Ft. Wayne, Pittsburgh & New York RR line. You can find a map and other information on the page about the Railroads at the 1876 Centennial Exhibition in Philadelphia. This line which became part of the Pennsylvania Railroad was one of the principal routes used by passengers from the East to get to Omaha, Nebraska for travel west on the first transcontinental railroad. Woodruff built Silver Palace Cars starting in 1866, and the following year competed with Pullman for a contract with the Central Pacific, building a sample car for the CPRR built by Harlan & Hollingsworth. "The CP decided to go its own way, but apparently licensed the Sliver Palace name and design." 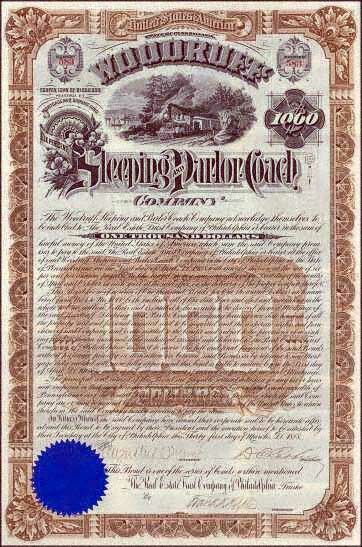 Note: This sheet music cover was discovered pasted onto the inside cover of an old scrap book. The accompanying sheet music, regrettably, has been lost. Courtesy of Glenn and Jan Stinson. 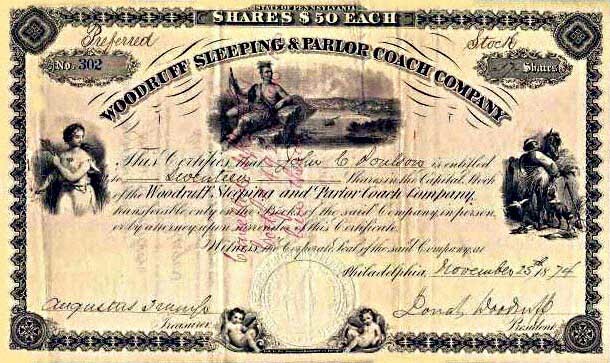 WOODRUFF SLEEPING & PARLOR COACH COMPANY. Courtesy Auktionshaus Reinhild Tschoepe, Historische Wertpapiere und Finanzdokumente.